In choosing a topic for a current event post, I certainly had a wealth of subjects to choose from. There's the downgrading of the government credit rating, a deadly helicopter downing in Afghanistan, riots in London, wild weather, and an ever-present wealth of crime, mayhem, and tragedy. It's almost too much. So I chose something lighter. Let's take a brief respite in the onslaught of bad news, to consider a frowsy redhead from nearby (to me) Jamestown, NY. This weekend marked the 100th birthday of Lucille Ball. And Jamestown reveled with parades, tributes, shows, and an attempt to break a world record for the most Lucy impersonators in one location. So why are we still talking about Lucy? One thing I learned from Lucy is to persevere until you find your niche. Lucy tried her hand in a number of different showbiz roles. She left drama school after being told she had "no future at all as a performer." She was a disaster as a showgirl, getting repeatedly fired. Her movie roles led to her briefly claiming the title of the Queen of the B's. Yet her comic role on television as the American wife of a Cuban bandleader won the laughs and hearts of Americans for generations. And she did it, oddly enough, without strong language or er..."adult" themes deemed necessary by many of today's comedians. Lucy also teaches us the power of laughter, and we love her because she makes us laugh. I Love Lucy has been in syndication since its original airing, so Lucy has been with us continually during every crisis and tragedy: during the Korean conflict , the Vietnam War, and both Gulf Wars. She was with us through 9/11, when we finally were able to unglue from the repeated showing of the devastation and the aftermath. She's been watched in prisons, hospitals, nursing homes, and shelters, and in many other languages on televisions throughout the world. Now some might say that laughter is frivolous, that it only distracts us from the important things that demand our attention. And when taken to the extreme, that might be the case, as much as a diet of pure sugar is bad for the body. But taking time to laugh can reduce stress, and studies say, can reduce heart disease. In fact, the Bible also attests to the power of mirth. Proverbs 17:22 says, "A merry heart doeth good like a medicine: but a broken spirit drieth the bones." So while we have problems (and who doesn't! ), yes, we need to pray, seek God's face, and deal with situations. But when that's done, it doesn't help to worry and stew. It's okay sometimes to take a break and laugh. Questions for discussion: What is your favorite Lucy episode? Have you ever had a real life Lucy moment you'd like to share? Has laughter ever eased your difficult times? 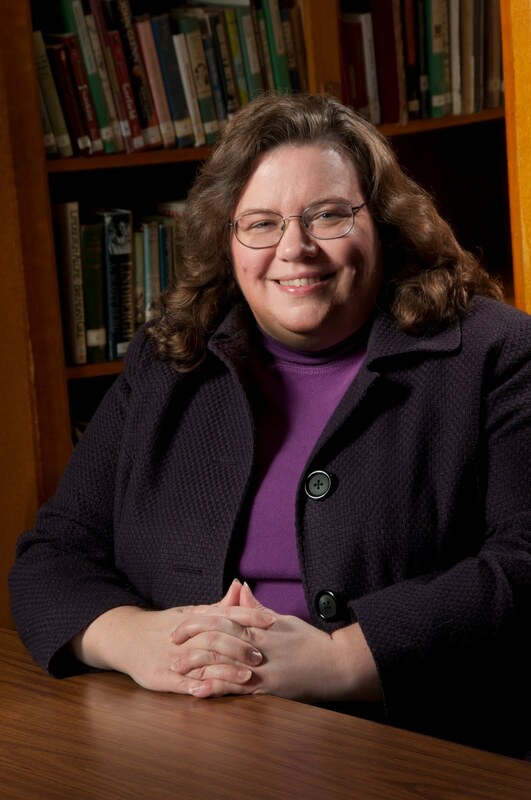 Barbara Early grew up buried in the snowy suburbs of Buffalo, NY, where she developed a love for all things sedentary: reading, writing, classic movies, and Scrabble. She holds a degree in Electrical Engineering, but her penchant for the creative caused her to run away screaming from the pocket-protector set. Barbara cooks up cozy mysteries with a healthy dose of comedy and sometimes a splash of romance, and was a double finalist in the 2010 ACFW Genesis competition. Her novella, Gold, Frankincense, and Murder, will be released this holiday season from White Rose Publishing. When not reading or writing, she enjoys cooking, crafts, home-improvement projects, and spending time with her husband and daughter. I am proud to share western NY roots with Lucy. I have watched since I was a child. Last year after the death of one of my best friends, a few of us continued on the vacation we'd all planned together and at one point spent a whole evening watching a DVD of Lucy shows. Perfect choice to help us begin to heal for the loss of one of our own redheads. She knew the value of perseverance and finding the joy in small things too. The whole show was so adorable. Fred and Ethel, Ricky and all their crazy schemes. She is a national treasure. If any of you come to Jamestown you need to visit the Jello Museum nearby. It's a perfect LUCY thing to do. Lucy and the Jello factory sounds like an episode that should have been made. LOL. Lucy is also a good study in writing comic situations. God tends to send me what seems like more than my share of Lucy moments into my life. Several times I questioned why, but now I happily include them into my writing. This is my mom's favorite show, so I've seen them all many times. Probably Vitameatavegamin is my favorite episode. Dina, Just seeing the vitameatavegamin picture made me chuckle, so I can see why. Poor, Lucy. I think she is one of those few characters that we can laugh at while empathizing and identifying with--great combination. What a great post. Just reading it made me smile, and I know just what Lucy was doing in each of those pictures. That show is SO a part of our national identity. I remember, just a week or two after Lucille Ball passed away, my mom bought something for $2 at a store on one side of town, came home and saw an ad for the same thing for $1.50 on the other side of town, went back to the first store to return the item she bought and then went all the way over to the other store to get the same thing at a $0.50 savings. After that, my dad told us, in a very deadpan voice, "And you thought Lucy was dead." I think laughter is very important, especially in the hard times. I think it has a genuine positive effect on our physical bodies. DeAnna--thanks for sharing your Mom's Lucy moment. I'll tell on my mom too. I don't know if anyone recalls this old 'exercise' device dating back to the '70s. It was basically a system of cords and pulleys. You attached it to a doorknob and slipped the other parts around your feet and hands. When you lifted a leg, an arm went down. Well, Mom wasn't the most coordinated person. My cousin and I were in the room when she tried it for the first time. The end result was that she was flopping around until she got herself into a panic. And to top it off, the door flew open and started banging her in the head. The more she struggled, the funnier it got, and before long, my cousin and I were on the floor laughing so hard we couldn't breathe. Great post! 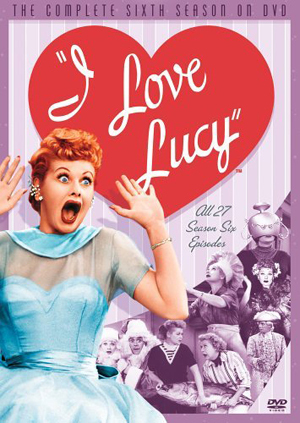 I love Lucy's show so much that we bought the DVD's to show the kids what they'd missed. Laughter plays a huge role in our house, bladder control issues of not. 'Nuff said about that. Thanks for the laugh today, Barb. JJ and I had fun watching the video. Oddly enough, I don't recall the frozen bananas. I do remember Ricky making rice. LOL. I recall a LUCY movie called The Long Trailer. Oh my gosh, if you haven't seen that one you have to check it out. How about the one where they are in Hollywood and Lucy pretends to be Harpo Marx - with the real Harpo. I think I will put Lucy on my Netflix. I need to see them all again. For some reason, The Long, Long Trailer grates on me. No idea why. Personal taste, I expect. The episode with Harpo is classic. I think the move to California and the guest stars helped revitalize the series. As I recall, there also was an extended tour of "Europe" and a move to the country. Lucy is also in my all-time favorite film--Without Love. Kathryn Hepburn and Spencer Tracey are the leads, with some great comedy by Lucy and Keenan Wynn. Barb, I LOVE Lucy! And I love this, too. Thanks for the smiles today. I have had many "Lucy" moments in my life. So many. One time I was in a fancy restaurant, and I turned the ketchup bottle upside down and shook it hard so the ketchup would be easy to pour out. Um, too bad the lid wasn't screwed on. It was just resting there. I'm sure I don't need to tell you what happened to the entire bottle of ketchup! My very first Thanksgiving for the in-laws included my parents, sister, brother and his family, my husband's father and step-mother. Her kids, hubby's siblings, and his sister-in-law. My first turkey, my first big dinner. It was a beautiful table, and the turkey was perfect. Until my mother asked me what I did with the gizzards and neck. Everyone put their forks down when I said my turkey didn't have any of those things. Did you ever see the movie, Rat Race, with the bus full of Lucy impersonators? Suzie--thanks for sharing your Lucy moments. I'll have to look up the movie Rat Race. That sounds fun.